GMDesigns reflects the creativity and versatility of owner-designer GG Morris. Her education and experience combined with a passion for details create extraordinary designs enhanced by top quality customer service. GG’s creativity and design expertise in residential as well as commercial space allows her to see the potential in every project. Her passion is to preserve and highlight the character of each home as she creates functional spaces with individualized design elements. 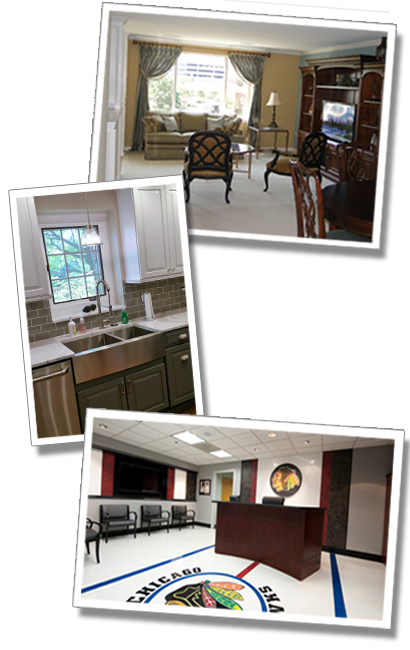 GMDesigns is well respected and enjoys long-standing relationships with all our clients. With over 25 years of experience, GMDesigns has developed a complete resource of dedicated, professional and knowledgeable contractors, fabricators and artists to insure each project is unique and exceeds your expectations. We believe everyone deserves a home and we hope to inspire people in any situation to take ownership and create value for themselves and their family. Our strategies will make the best of your situation; regardless of your circumstances. At GMDesigns, our passion for renovating and remodeling is combined with our desire to help you have the home of your dreams. We specialize in leading clients through the process of finding the right property to fit their particular situation, lifestyle and budget. Then we customize the home to make it theirs. Need to get your home ready to sell? Want to buy your next home and make it truly your own by renovating the imperfections? Have real estate that needs minor renovations, major remodeling or a total rebuild? Our goal is always to create a project that is a reflection of you. Your particular needs, personality and lifestyle are the key factors in choosing design elements; creating a space that is functional, beautiful and uniquely yours.